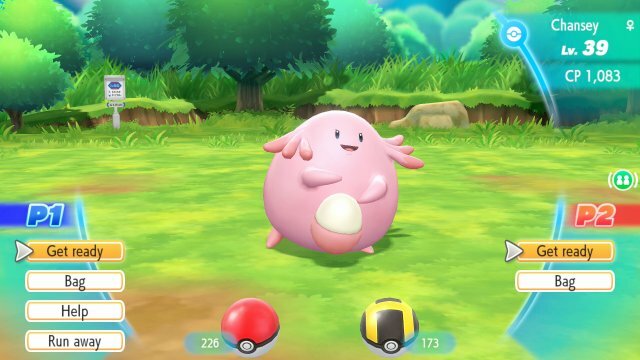 Pokémon Let's Go Pikachu and Let's Go Eevee have a new feature of co-operative play. As the game can be played with one Joy-Con, another player can pick up a Joy-Con and join the game as another trainer on the quest. This turns battles into 2 VS 1 battles and has both players able to throw balls to capture a Pokémon. When playing in Co-Op mode, there are various restrictions. 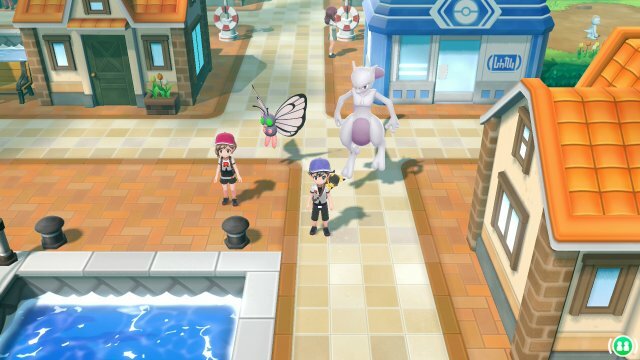 First, the second player cannot interact with any NPC, Item or wild Pokémon and the players can walk through eachother. The Pokémon following the trainer will always be the 2nd Pokémon in the party. With this, the second player cannot ride a Pokémon while the other player can. Catching Pokémon with 2 players gives another advantage. This gives you two chances to throw a ball to hit the Pokémon for an attempt at capture. However, if both players synchronise their throws, then they get a special bonus. First, the capture bonus acts as if a Silver Razz Berry has been used meaning it's much more likely to catch the Pokémon. Secondly, there's a *2 bonus to the experience gained from the battle if the Pokémon is captured from the synchronised throw.